Yoko learned to cook from her mother when she was young and later joined a culinary institute in Osaka. 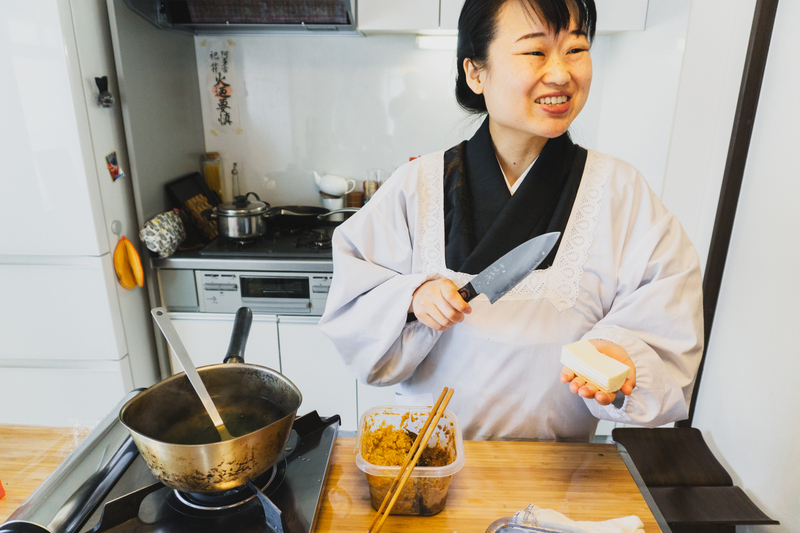 She loves everything to do with food and a few years ago decided to follow her passion and teach Japanese cooking from her home. Yoko also helps her friend at his Kaiseki restaurant - she says it helps her stay up to date with the food industry in Japan, as well as learn new techniques. 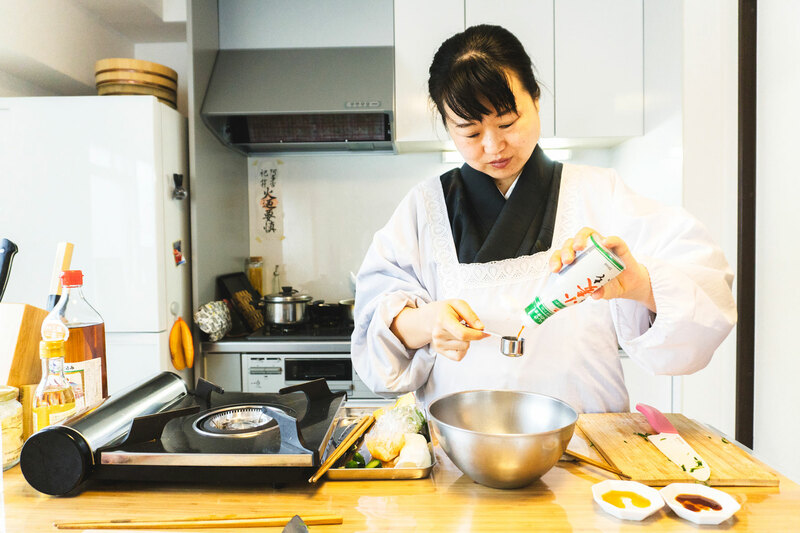 Yoko perfectly describes herself as a food loving, travel loving, people loving Osakan, who is passionate not only about Japanese food but also its rich history and culture. 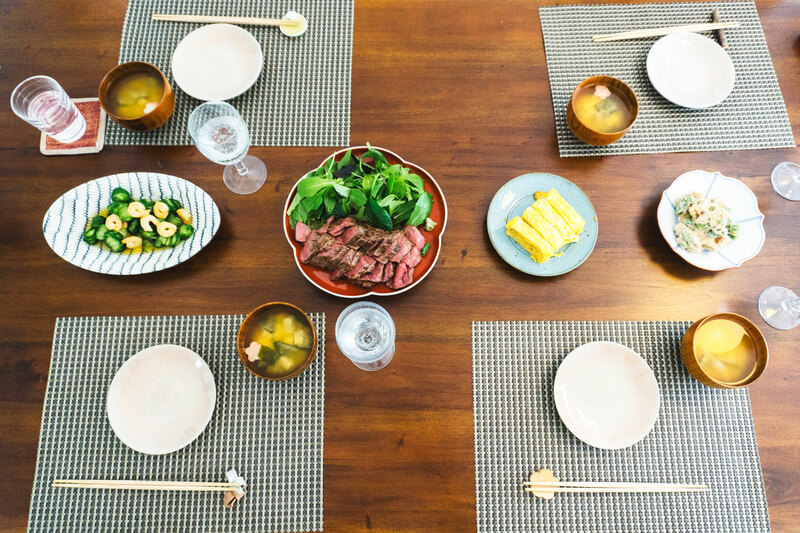 In-home meal: (1-6 guests) After you meet Yoko at the subway station, she will walk you to her apartment through some of the local shopping streets, giving you a small tour of her neighborhood. Yoko lives in a simple, clean apartment complex in the city near the Osaka Castle (a big tourist spot). As soon as you enter, Yoko will have slippers ready for you to wear (it is part of Japanese culture to remove your footwear before entering the house). After you learn more about the local Japanese way of life, the food and culture, join Yoko for a meal that may include dishes such as rolled sushi or okonomiyaki (savory pancake) or Kara-age(Japanese fried chicken) as a main course and a few of her signature side dishes such as Japanese omelet, pickled seaweed and cucumber, veggies with tofu and sesame dressing and miso soup. You will end your meal with the refreshing green tea ice cream. 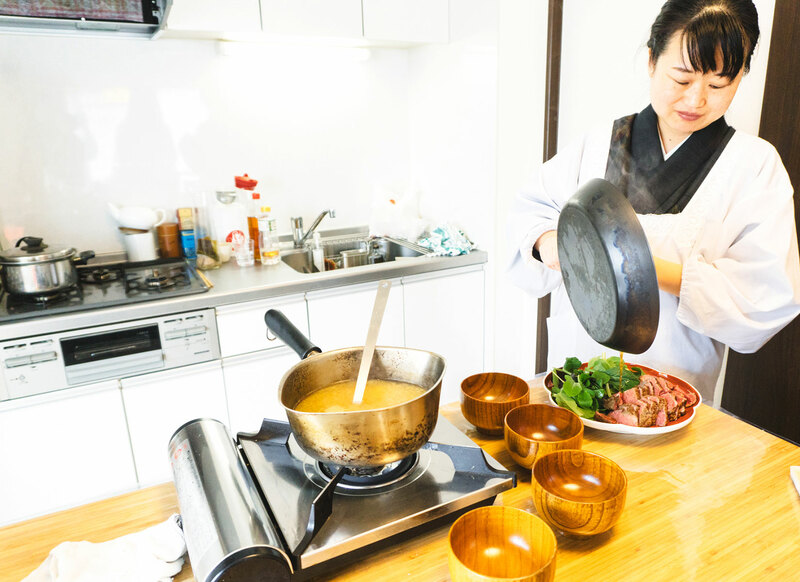 Cooking experience: (1-6 guests) Before you get started with the cooking class, Yoko will introduce you to Japanese cooking techniques and the five different tastes. 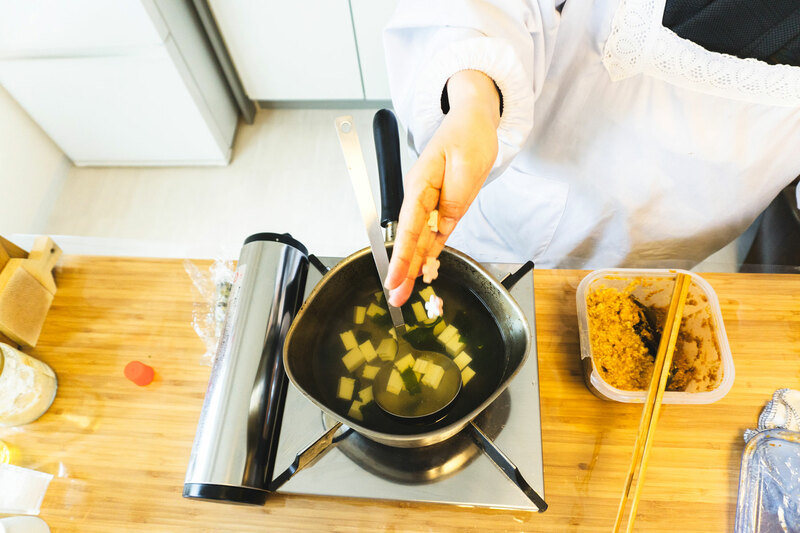 She will also show you key ingredients you will use throughout the cooking process like seaweed, dried fish, etc. You will then get to put on your aprons and roll up your sleeves to cook with Yoko! 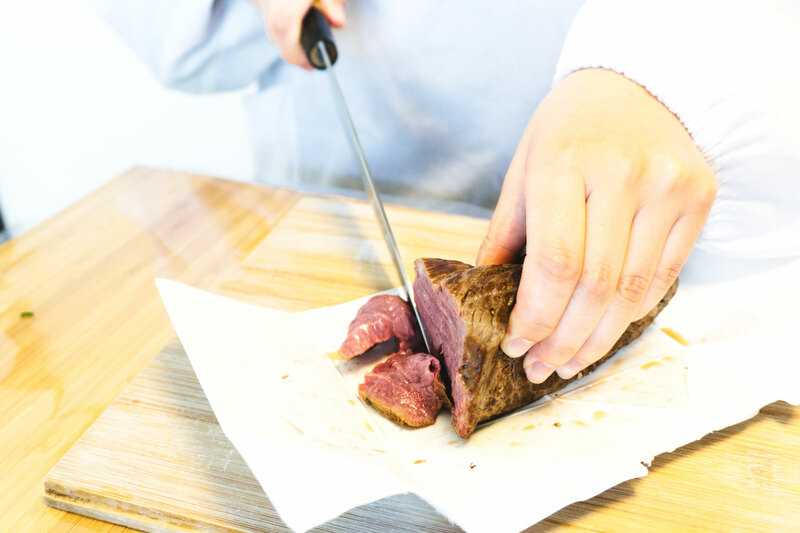 The class will be both a cooking demonstration and a hands-on class, where Yoko will prep a few things before you get to participate in the cutting and cooking process. 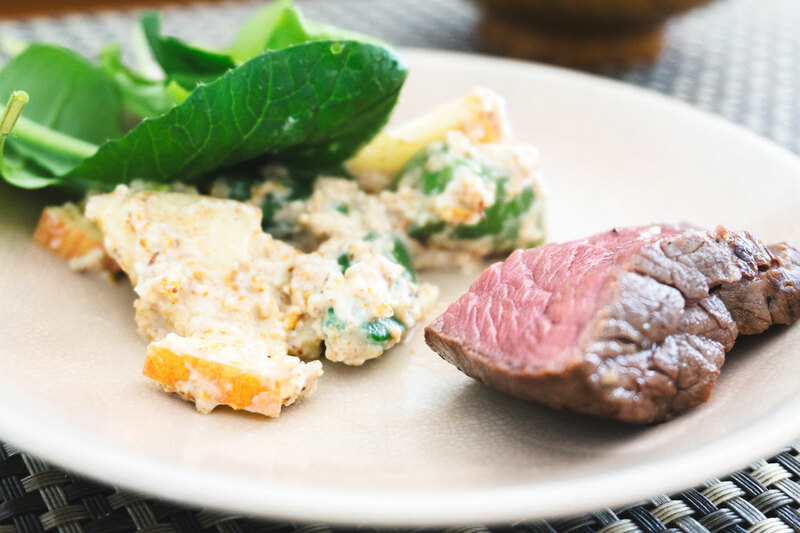 You will make 5 different dishes from scratch in your 1.5 hours cooking class. Yoko is a great teacher and will explain everything thoroughly throughout the entire process. 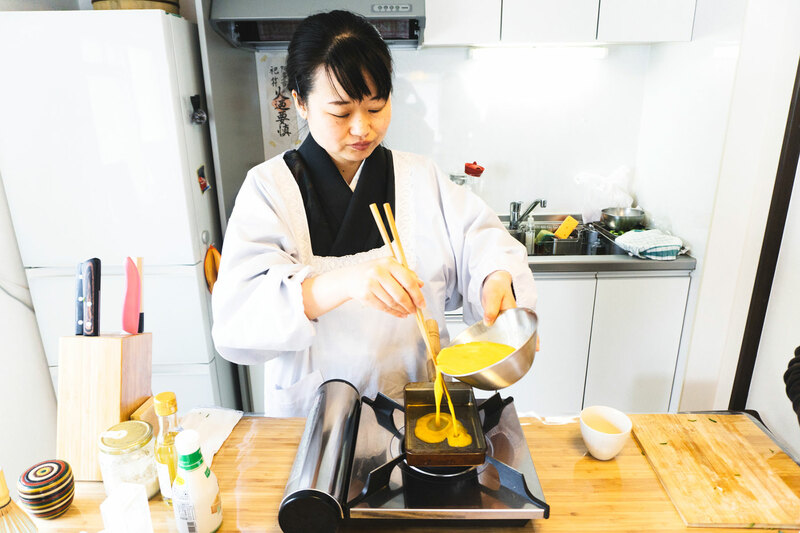 Feel free to ask her more about Japanese cooking styles and don't leave without learning about her secret cooking tips! Notes: A small bottle of sparkling sake is already included in the meal price. You can also choose a sake tasting set at an additional cost, please click on the alcohol option while creating your booking to opt for the sake tasting set (two kinds of sake in a small screw cap bottle). The menu can be customized as per your requirement, so don't forget to let Yoko know your preference while booking the experience. Yoko can also do a vegan meal. My friends and I arranged a class with Yoko during our recent visit to Osaka. We asked to learn the seasonal dishes - and being winter - seafood was in abundance. Yoko started the class by explaining what the 5 different tastes of food are - sweet, sour, salty, bitter and umami. 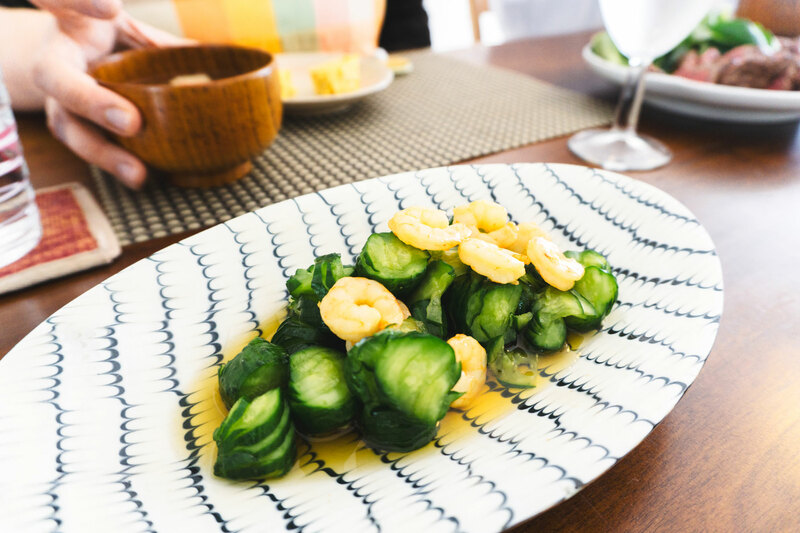 Japanese food concentrates a lot on umami. 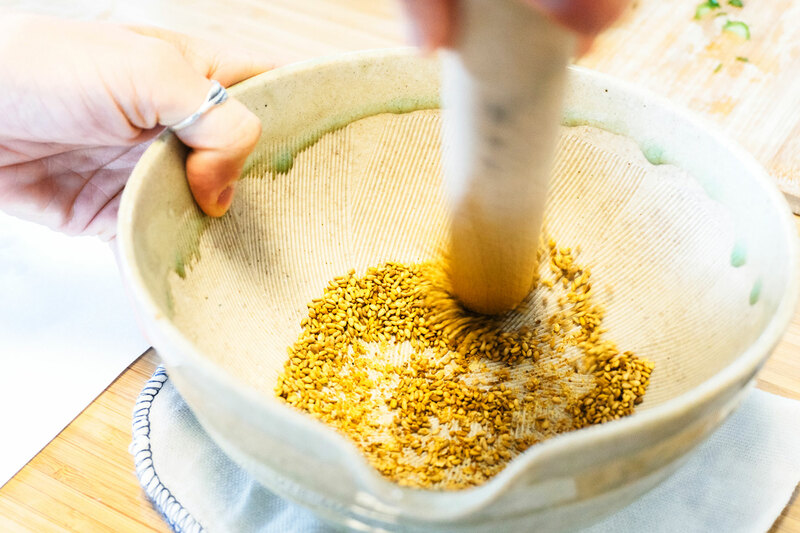 We learnt the basics of making miso stock with konbu and dashi. The best konbu comes from the seas off Hokkaido - cold waters. We also learnt how to cut vegetables for the pickle as well as make a simple tofu salad with sesame dressing. The main dish is an Osaka speciality - seafood okomomiyaki. Skill is needed to flip this omelette! We also tried our hand at making tamago - Japanese omelette. After the food preparation - it was then time to eat. Simple yet delicious food. Yoko answered our many questions on food prep and techniques, as well as advised us where to buy ingredients and places to eat in Osaka, as well as Kyoto - which we visited the next day. Yoko was very friendly and willing to share her passion for the food of Osaka with us. It was an enjoyable morning and we will definitely be trying out what we learnt when we get home. We had such a wonderful experience with Yoko. We learned so many new skills and gained knowledge about Japanese cooking. The food was absolutely delicious and we had great fun eating with Yoko. She is so friendly and welcoming - an excellent (eggcellent) teacher. Would highly recommend doing this class while in Osaka. Cooking with Yoko was an amazing experience! She met us right at the Minami-Morimachi station and wore a Japanese kimono as this is what traditional Japanese wear for teaching classes and tea ceremonies. Yoko walked us to her apartment through some of the local shopping streets and gave us a small tour of her area. She was very welcoming and was a great tour guide explaining everything we saw and telling us stories. Yoko is well known in her area as many people greeted her as we walked by on the way to her apartment. She made us feel right at home and greeted us with a cute welcome sign on her door. She had hangers out for us for our jackets and charming aprons to wear. The cooking portion of the experience was very hands on and extremely informational. She taught us so much about traditional Japanese cooking techniques such as how to cut cucumbers into a snake (accordion) design, which looked way better than just a cut up cucumber. She also gave us lots of cooking tips as well including to always mix the miso into a small portion of broth before adding into the soup as it would lose all its flavor, it is easier to cut tofu in your hand (very carefully) since it is so soft, always crack an egg on a flat surface and so much more. One of the highlights of the cooking portion was making the Japanese omelet - one of the best omelets we have ever had! She was so accommodating and even purchased and used gluten free soy sauce as I had an allergy. We had such great conversations over our meal with her about Japan and life that we felt like we were just having a meal with an old friend. At the end of the experience she even walked us about 10 minutes to a local park and pointed us in the direction of the Osaka Castle which is where we were headed to after. She even gave us lots of tips on other places in Japan we would enjoy and wrote them all down for us. We left the entire experience with our bellies full, lots of new Japanese cooking techniques and feeling like we made a new friend. It was an amazing experience altogether!